It’s imperative that treatment decisions only be made by a dentist who is acting in the best interest of his or her patients and is not subject to the bottom line of a corporate manager. AS lawmakers and advocates in Olympia debate over the role of corporate dentistry in our state, the Washington State Dental Association continues to support legislation that prioritizes patient safety over profit. By clarifying and strengthening existing state and federal law, we would continue to put patients first and avoid the risks created by corporate interests, which prioritize profits over patient care. Advocates for corporate dentistry claim they support choice and competition. That is not always the case. State and federal laws are in place to protect patients against bad actors, to make dentists accountable for patient care, and to ensure appropriate guidance for patients as consumers of dental services. Current law allows dentists to retain dental-support organizations for administrative services and ensures clinical decisions about patient care are by a dentist and a patient. Dr. Bernard J. Larson is a board-certified pediatric dentist in Mount Vernon. He is the president-elect of the Washington State Dental Association. Some corporate management agreements in other states determine what materials are used or how much time a dentist can spend with a patient. They also can affect infection controls, such as the protocols that determine whether a disposable item is reused instead of being replaced. Other contracts tie management compensation to services and numbers of customers served, in violation of state and federal anti-kickback and rebating laws. Corporate agreements are lucrative: It takes $30 million in revenue to be a member of the Association of Dental Support Organizations, the chief lobbying entity for corporate dentistry. That’s why it is imperative that treatment decisions only be made by a dentist who is acting in the best interest of his or her patients and is not subject to the bottom line of a corporate manager. The drumbeat of patient complaints and lawsuits challenging corporate practices has been prolific. In 2013, the U.S. Senate Finance and Judiciary committees issued a joint staff report on corporate dentistry. The report documented disturbing Medicaid system abuse under the cover of expanding access to care. In Washington state, a corporate practice in Vancouver was issued a cease-and-desist order by the U.S. Department of Health for unlicensed practice that led to the abandonment of hundreds of patients. Alarmingly, regulators have had difficulty obtaining and receiving contracts between dentists and corporate entities — raising a red flag for patient protections. In health care, high-quality patient care is the greatest measure of success in a competitive environment. Allies of corporate dentistry offer lucrative contracts that can explicitly prey on new dentists’ need to rapidly pay off student loans. Addressing student debt and prioritizing patient care should never be placed in opposition to each other. Instead of playing on student debt fears, proponents for corporate dentistry could enrich dental training by helping to grow the Regional Initiatives in Dental Education program, which trains dental students in rural communities. Another way to support new dentists is to invest in the clinic proposed for south Puget Sound, which would serve 10,000 patients annually and expand opportunities to strengthen new dentists’ skills while providing high-quality care. Our state should also build on its track record of success increasing access to care for kids by increasing Medicaid reimbursement rates for adults. 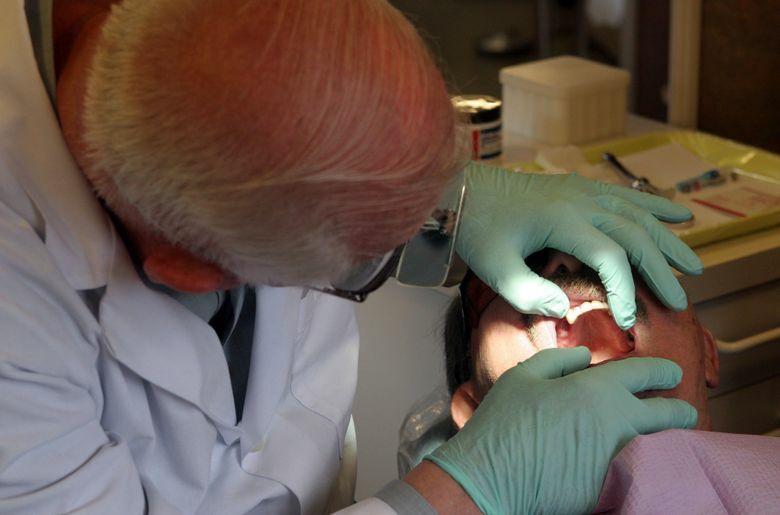 The dental safety net for low-income adults is broken. That is why for years dentists have worked to strengthen successful programs and enhance others that connect patients with high-quality care, ensure availability of those who support dentists in nonclinical decisions, and, above all, continue dentistry that prioritizes the patient’s best interest over profits.